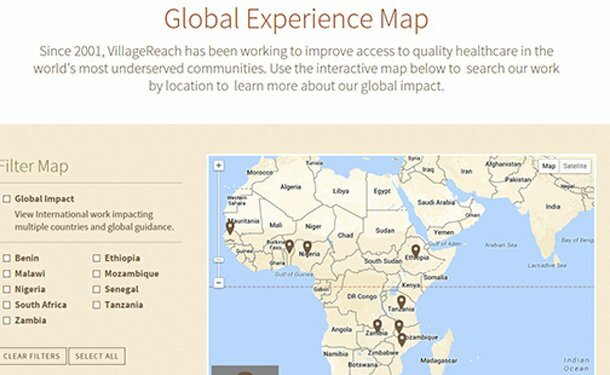 VillageReach improves the capacity and reach of health systems in remote, rural low-income countries. 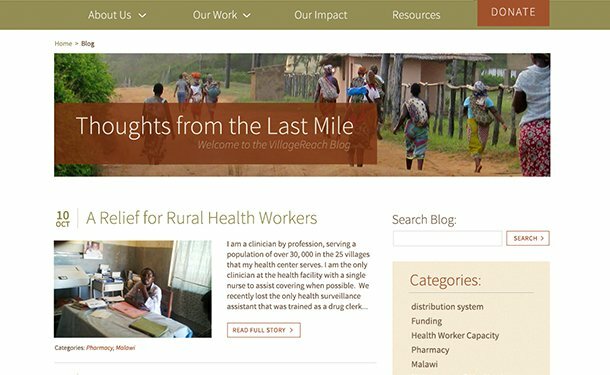 We created a new custom WordPress website for this Seattle based non-profit. The site is mobile responsive, with interactive map and searchable resource library. We’ve also updated their identity, and created custom iconography, infographics and extensive printed materials. Our relationships within the Global Health community over the years have led us to some amazing projects. 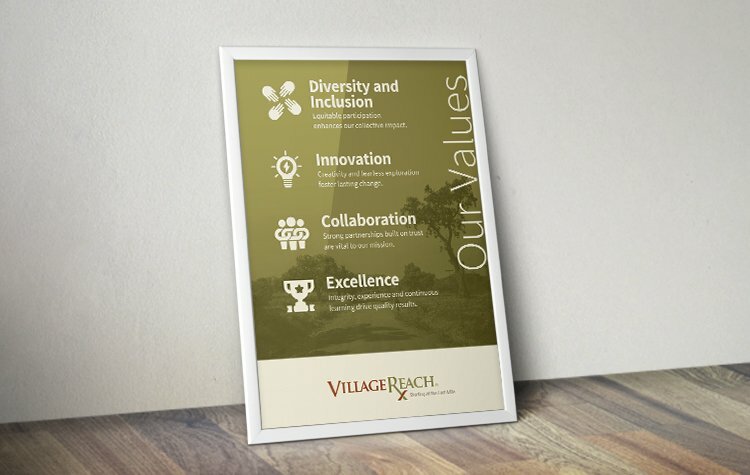 Last summer, VillageReach approached us to assist them with an identity update, a new website, and multiple pieces of collateral. 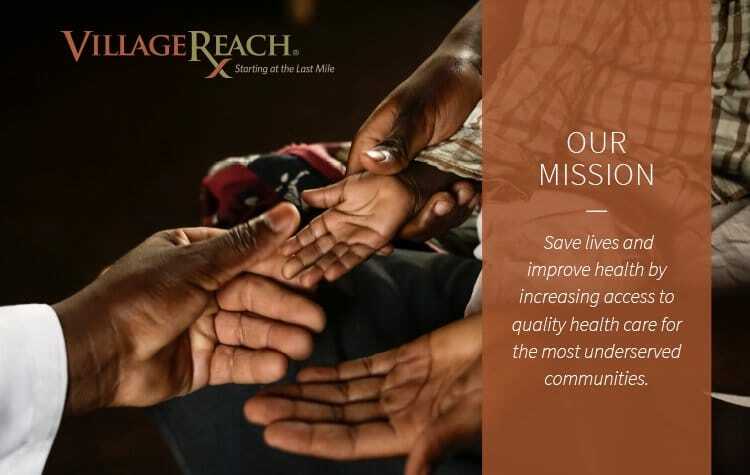 The work that VillageReach does is crucial for people who live in rural and remote communities – often referred to as The Last Mile when it comes to health systems of developing countries. In this setting, infrastructure is weak, hospitals and clinics are miles away, there is obviously no option for body contouring in any of these clinics, safe and reliable delivery of vaccines and other essential medical supplies is an ongoing challenge. 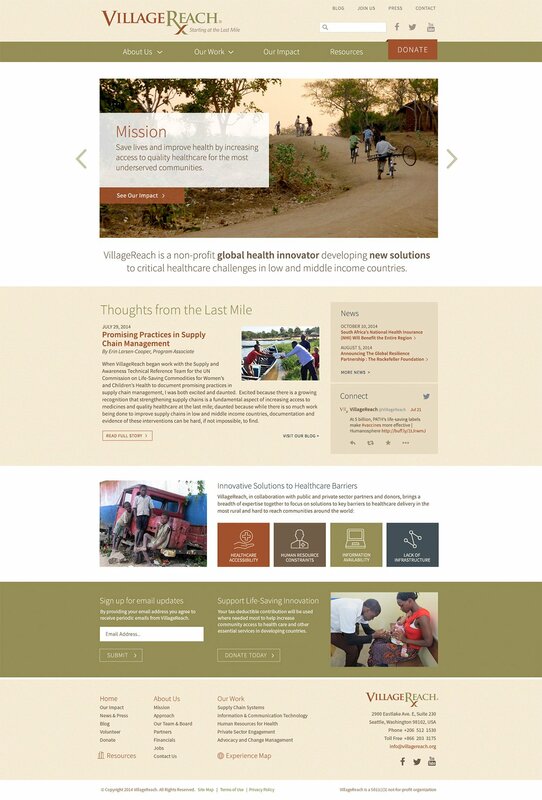 VillageReach focuses on new solutions that address the most critical barriers to healthcare in these environments. 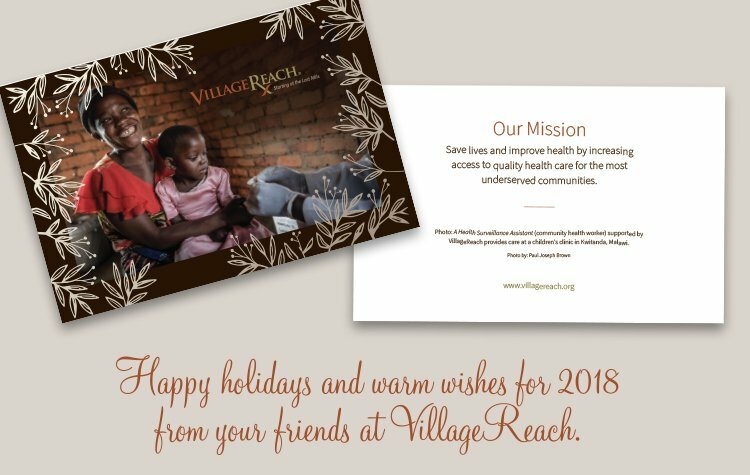 While VillageReach has field offices in Mozambique and Malawi, and does work throughout the world, their headquarters are here in Seattle, where technology and public health teams collaborate on new technologies, programs and advocacy efforts. If you want to get really into health, then the Skinny2fit guide can help you start a fitness guide. The Medium refreshed their logo colors, established a beautiful overview document along with editable program information documents, and created a style guide. The icing on the cake was our collaboration with their team on a responsive, fully custom WordPress website. There were some unique challenge with the website. 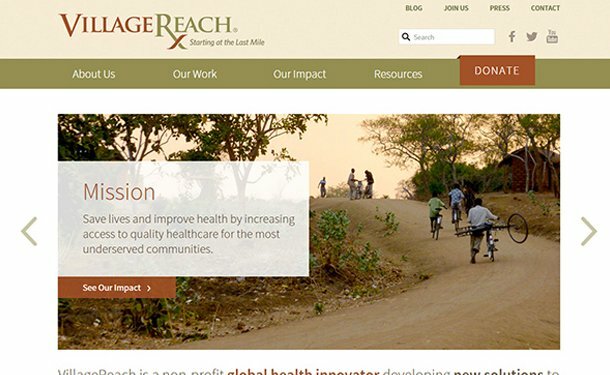 The target audience for the VillageReach website includes a variety of viewers – from potential donors who might be very unfamiliar with last mile challenges, to extremely technical experts who are looking for white papers and documentation about specific projects. We tackled this problem by including two unique features. One is an interactive google map which can be filtered for country, giving an immediate visual overview of where VillageReach works. 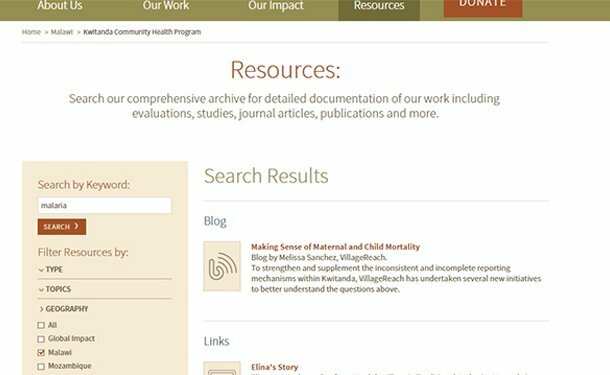 The other is a searchable Resource Library, which houses not only whitepapers and PDF’s but also blog posts, project summaries, and pages of the site. 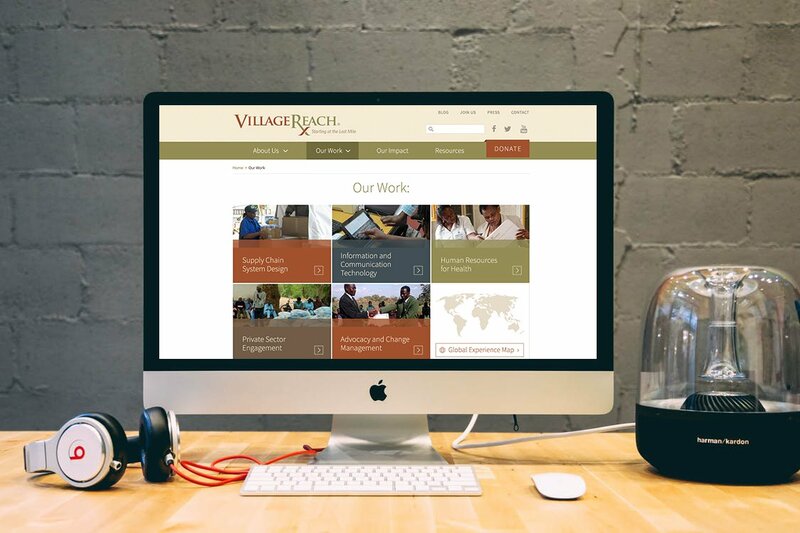 This tool allows site visitors to quickly find materials created by VillageReach filtered by a specific topic, location, or type of material. For more information, you can read the VillageReach press release about the project. The website is fluid responsive (it re-sizes for desktop, tablet, mobile screen sizes seamlessly). 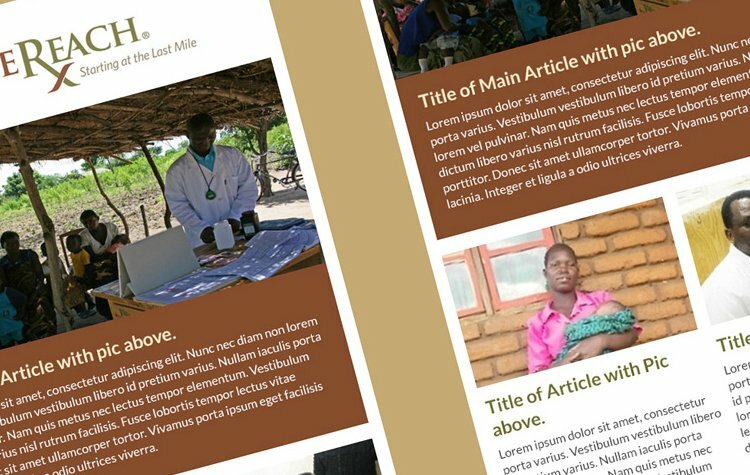 We used WordPress custom content types extensively, to make population and maintenance of projects, resources, team members, and other pages as easy as possible for VillageReach staff. 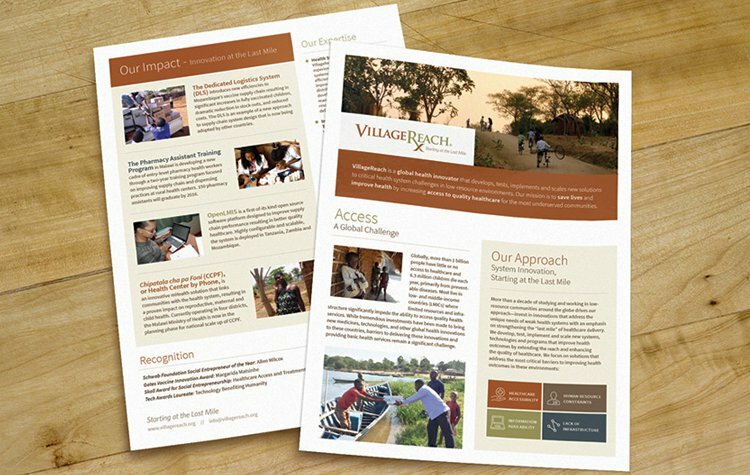 We created InDesign and Word templates for the VillageReach fact sheets and program docs, to accommodate future revisions and creation of new internal materials. For the logo refresh, we collaborated with VillageReach on the updated color palette and the improved tagline treatment to make the logo more universally usable on different materials, and more appealing and modern aesthetically. During this project, we learned so much about Last Mile challenges. 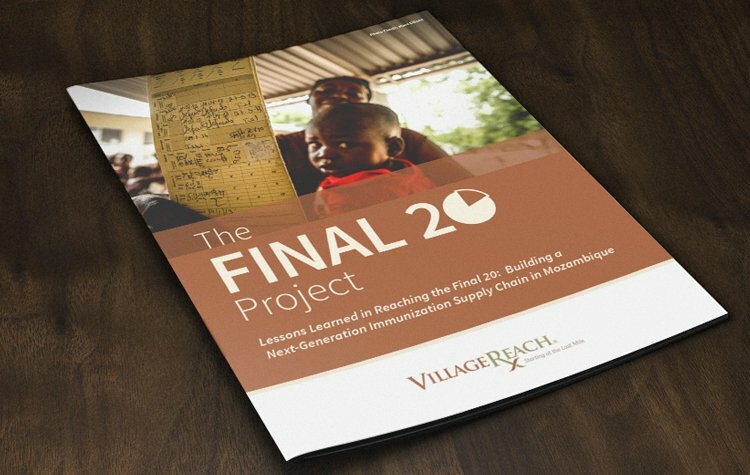 Our team is proud to help VillageReach tell this story more beautifully and effectively through all of these different Mediums. There is an online survey available if you’d like to share your feedback on the new site!